Generally, I make different types of pudding during Christmas time throughout December. My mom used to make classic pudding recipe that I learned in my teenage. 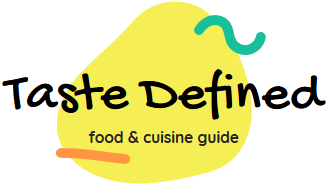 In recent years, I've experimented with some fruit-based puddings and they came out very well. Today I'm going to share one of my favorite pudding recipes made from sweet potatoes. It's extremely easy-to-make and is cherished by all age groups. In fact, your kids won't be able to tell you the base ingredient of this pudding. This pudding tastes great when served fresh. If you want to experiment, you can replace sweet potatoes with beetroot. So let's start making this delicious pudding which is ideal for kids' party. 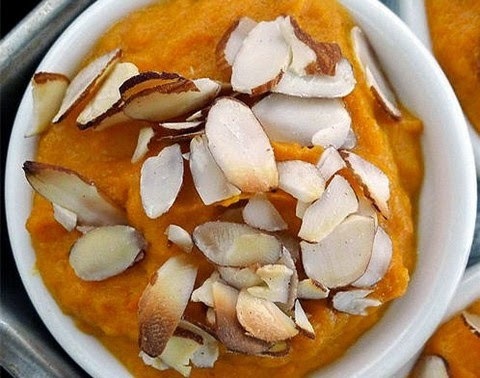 Make your day with this delicious and pungent sweet potato pudding garnished with chopped almonds which are so easy-to-make and is extremely nutritious too. Boil sweet potatoes and mash them into a fine paste. Add brown sugar, vanilla extract and cornstarch to egg yolks and whip briskly. Add 1/4 cup milk to it and whip till it takes thick consistency. Make sure it has no cornstarch lumps. Take the remaining lukewarm milk and add egg mixture to it. Cook on medium heat and continuously stir for about 7-8 minutes. Add cream, salt and sweet potatoes and cook for 5 more minutes. Add cinnamon powder, mix well and switch off the flame. Take out in serving cups and garnish with chopped almonds.